Hiking in Hakuba, early summer. 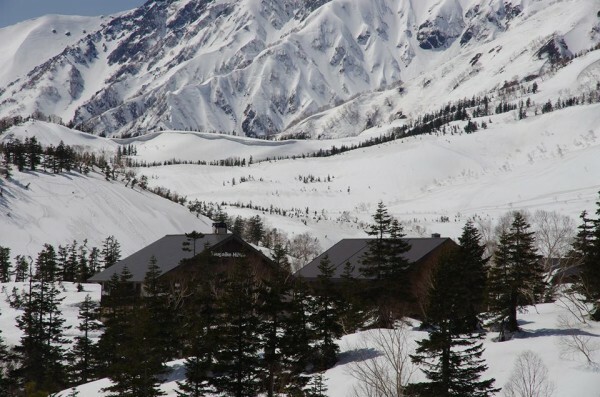 We head into Nagano and via Matsumoto enter the Hakuba Valley, where we will spend the night. 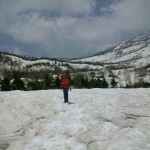 Although it is early summer, there is still a fair amount of snow in the northern alps. 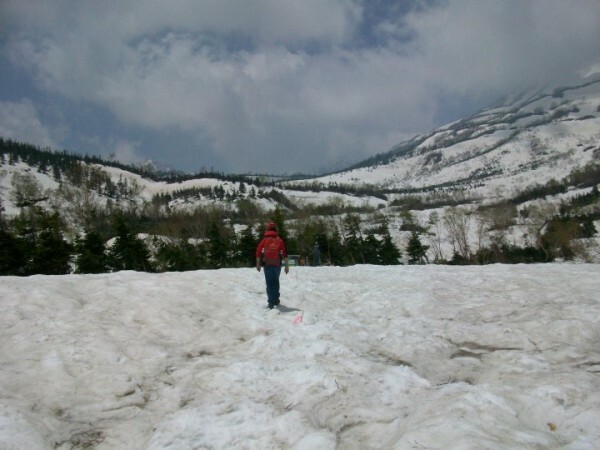 On Saturday morning we will head deep into the National Park and hike across the snow (you will not need hiking boots unless you wish to go snowshoeing). At this time of year, the wildflowers are beginning to poke through the thaw and bloom. Please bring a towel, hat, sunscreen, sunglasses (especially if you have blue eyes) if required, and warm clothing. We will be close to the ridge overlooking the Sea of Japan. The actual hike is fairly gentle, mostly across relatively level ground rather than involving climbing (which can be difficult at this altitude), and we will have a picnic lunch near a gushing alpine stream. Some 90% of Japan is mountainous, and much is forest, but here we are well above the tree line. On our way up to the ropeway (like a cable car) station, it is easy to see where the tree line has been rapidly rising in recent years. 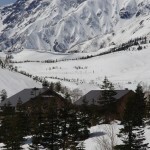 Hakuba back country under blue skies. Late on Saturday afternoon we will visit the ski jumps near Happo One that were used during the 1998 Olympics, before an evening hike (weather permitting). 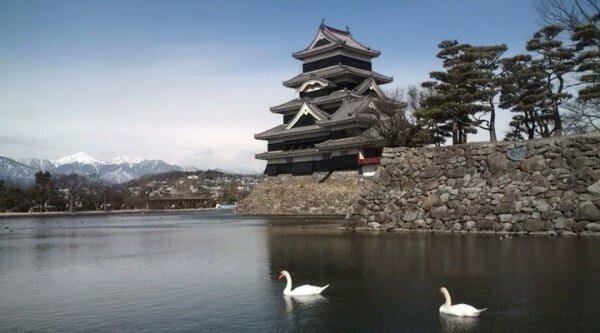 Swans in the inner moat of Matsumoto Castle. Japan Alps in the background. On Sunday morning our first destination is the Iyari marshlands (a beautiful wetland habitat teeming with birdlife), before we head to the Kurobe Dam west of Omachi. Built mostly in the 1960’s, this massive structure is Japan’s tallest dam, with installed capacity of 335MW and an annual generation in excess of 1 billion kWh. It is a must see. And we will take time out to visit the memorial to the 171 workers who died during the construction process. Hydro-power has been both a blessing and a curse during Japan’s development. Our final destination is the Daio wasabi farm, one of the most unusual and yet most environmentally sensitive farms you will ever see. The secret at Daio is clean alpine water. Wasabi is pretty much as indispensable to Japanese cuisine as soy sauce, and at Daio the quality is as good as it gets. 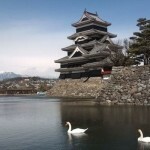 We return via Matsumoto, visiting the famous castle.